Weekly Ittefaq News Karachi Newspaper established in 2010. That is a urdu newspaper which publish from Karachi city, This is weekly newspaper which contain 4 pages. The Chief Editor of Weekly Ittefaq News newspaper is Faiz-ul-Hassan and Editor of Weekly Ittefaq News is Orangzaib Shahzad. You can purchase it by spending 10 PKR. For Those Who Want to Read Weekly Ittefaq News they can Visit its Official Website: www.ittefaqnews.pk. At The Website You Will Find Weekly Ittefaq News old Newspaper Too. 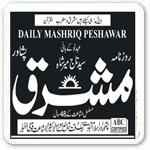 You Are Visiting Weekly Ittefaq News Page of Epaper.PkNewspapers.com.